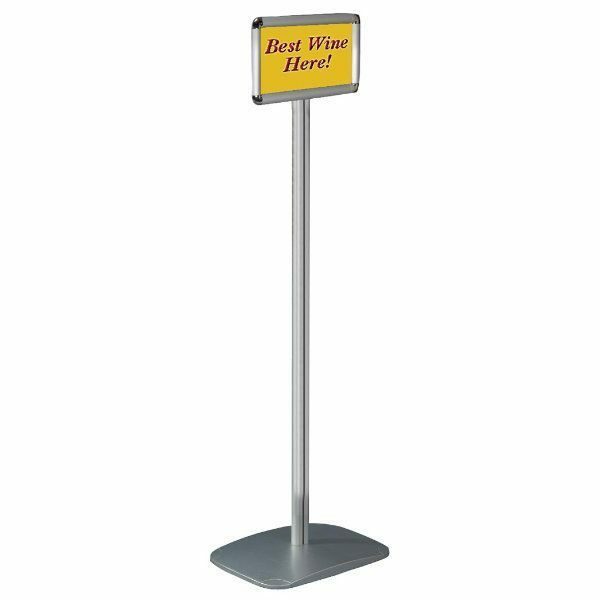 Packing Size: 12.80" x 51.18" x 1.77"
These pedestal signs as also known display stands are a must to your lobbies, stores, offices and restaurants to display any kind of announcements, notes, advertisements or menus. 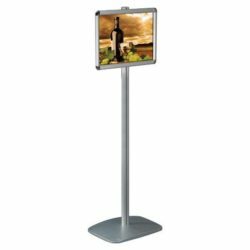 This display stand features a heavy weight base that provides with the stability, a silver anodized finish post that gives this pedestal sign an elegant look and a front loading frame. 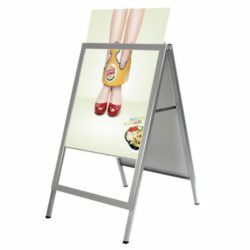 Frame is suitable for 8.5″ x 11″ posters and is round cornered. It is very easy to update the poster. 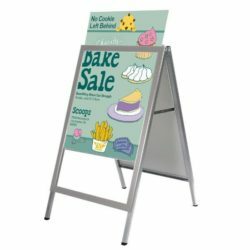 Simply flip up all sides, place poster and the protective plastic over lay that comes with the product and snap close. It takes less than a minute. Plastic over lay keeps your poster rom getting dust and damage as well as prevents glaring. 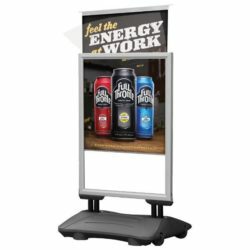 This display stand is shipped unassembled. All necessary hardware and an instruction sheet come with the product. Very attractive and sturdy. 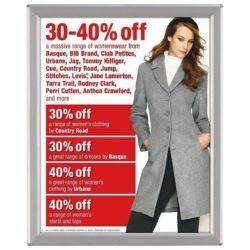 So easy to put in signs and change from vertical to horizontal.